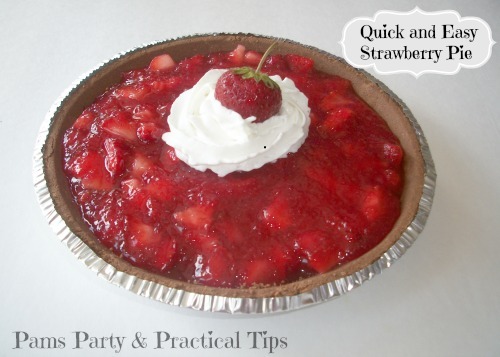 One of our favorite treats in the summer is this Quick and Easy Strawberry Pie. All you need is a few ingredients, and a few hours of chilling time. All you need is 4 cups of strawberries, 1 cup sugar, a graham cracker crust, 1 box of strawberry jello, 2 Tbsp cornstarch, and 1 1/4 cup of water. 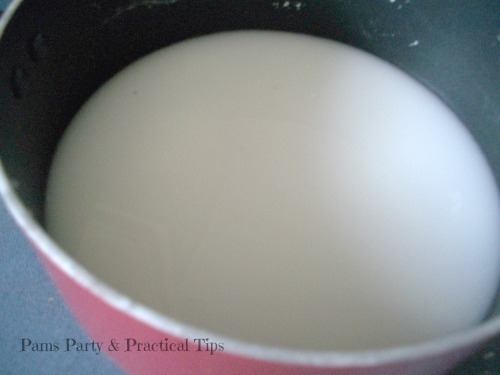 Boil the sugar, water, and cornstarch over medium heat. Stir frequently as the mixtures starts to boil and thicken. 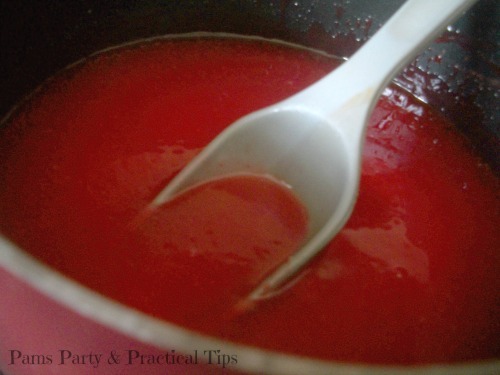 Add 1/4 cup of the strawberry jello to the mixture, stir and remove from the heat. It will become a bright red color. All to cool, and then place in the refrigerator to chill for 1 - 2 hours. 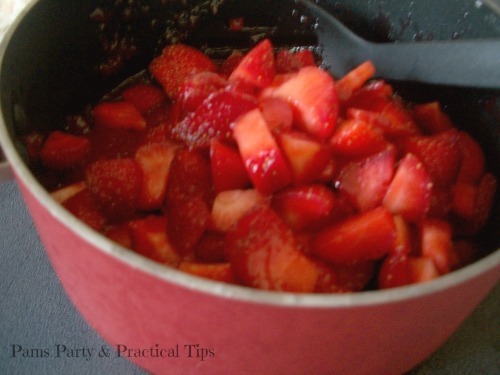 Add 4 cups of cut strawberries to the chilled gel in the saucepan. Stir well to make sure all of the strawberries are covered. Add the mixture to a graham cracker crust. We like to use a chocolate crust. Place back in the refrigerator, and chill for 2 more hours. When the pie is done chilling, it is ready to eat. 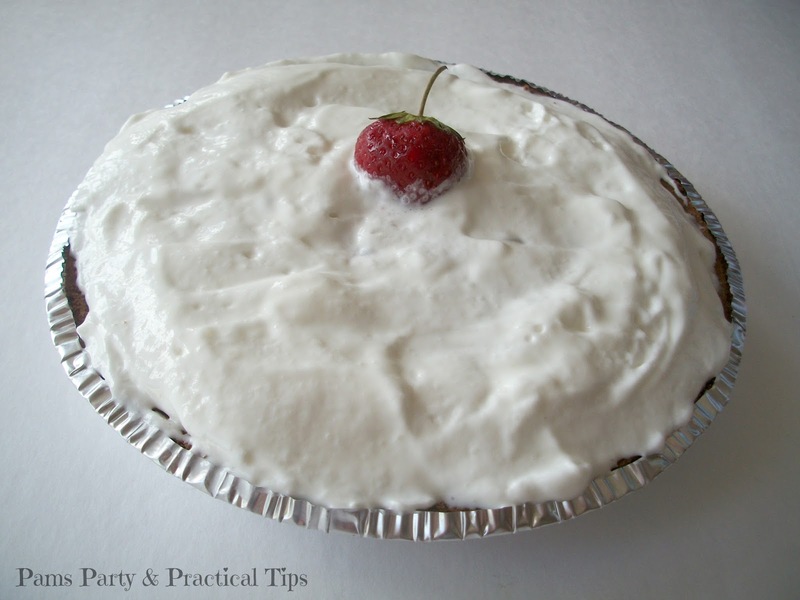 The pie tastes great covered with whipped topping. 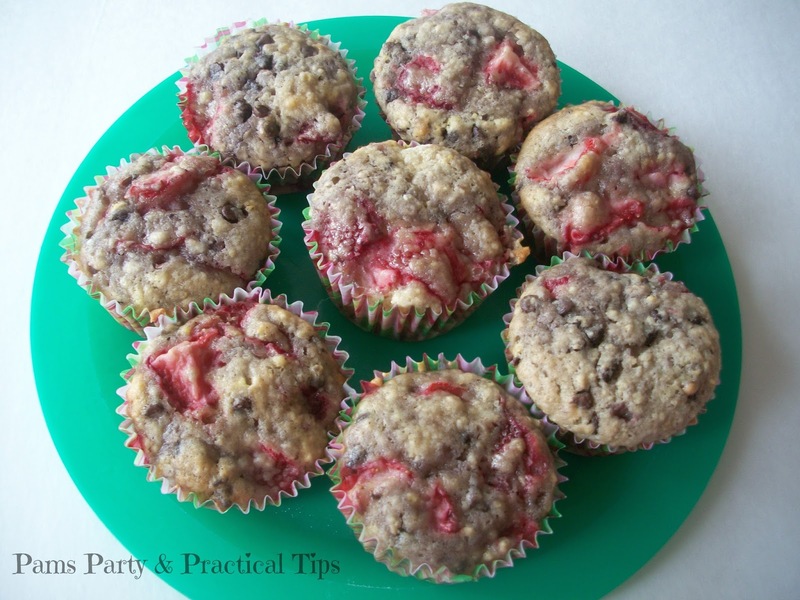 Other strawberry recipes you might enjoy! 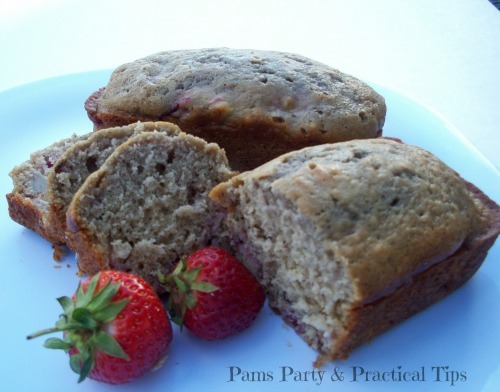 Strawberries make me happy - this looks and sounds really yum. If you make it, it disappears fast.. My kids love it.